I'll start with an anecdote. I was sent to Kenya for a couple of months to cover for a colleague back in 1993. The corruptocrat in charge at the time was an odious creep named Daniel arap Moi. Hailing from a minority tribe, Moi started life as a school teacher, he then became an MP for a Rift Valley constituency who worked his way up to be party leader and eventually becoming President of Kenya. I returned to Kenya in 2000 to replace my colleague by which time Daniel arap Moi was worth $1.5 billion, his daughter June was employed in his office with a non job and with daddy's help his son Gideon became a businessman who was worth a reputed $550 million in 2011. In the meantime his constituents in the Rift Valley remained dirt poor. There were plenty of parallels between Moi and Neil Kinnock but unlike Moi, the latter didn't make it to the top job. A look at Neil Kinnock's biographies reveal, as is usual with Labour Party hypocrites, he benefited from a grammar school education. This was the vehicle that provided social mobility for working class children which was subsequently denied to future generations by his Labour Party. The replacement Comprehensive system locked children into a dumbed down shambles which still masquerades as schooling today. Neil Kinnock went on to become "the first person in his family for a thousand generations to go to University" where he graduated in Industrial Relations and History, a qualification which is of little use for a career in the wealth and job creating sector. Neil Kinnock is also the first person in his family in a thousand generations to accumulate a fortune without ever having done a proper job in the real world outside of the incestuous world of politics. Neil Kinnock spent 4 years as a tutor for the Workers Education Association, a taxpayer supported charity which laughably includes equality and opportunity as one of its values. (Comrade Neil must have turned a blind eye to that one). After an exhaustive investigation, that would appear to be it, the sum total of Neil Kinnock's experience outside of party politics comprises of being a student and a tutor in a taxpayer funded charity. There is no record of any business or wealth creating experience prior to his entering Parliament as the MP for Bedwellty. This was, and still is, a typical poor tribal voting South Wales coal mining community which would return a donkey to Parliament if it sported a red Labour Party rosette. Neil Kinnock worked his up to the giddy heights of Labour Party leader, a tenure which was characterised in the early days with a sham fight with hard left. Although he was a member of the hard left himself he realised that their loony policies and poor public image was hurting their chances of electoral success. The battles with Militant Tendency made great headlines which the Labour Party image makers of the day, led by that calculating manipulator and ex communist Peter Mandelson, milked for all it was worth. With the expulsion of Militant Tendency and a change of logo to a pink rose, the Party was apparently re-branded and now electable. In reality nothing had changed. The loony left went underground, they put on suits and ties then carried on as usual. They are still in the Labour Party to this day in the shape of Jeremy Corbyn, Dennis Skinner, Diane Abbot, Michael Meacher, Ken Livingstone, 'Grunwick' Jack Dromey (of all women shortlist fame) etc. Despite Mandelson's efforts at re-branding, Neil Kinnock's Labour Party went on to lose the 1987 general election taking only 31% of the vote. Surprisingly Neil Kinnock stayed on as leader seeing off a challenge by that other left wing loon Anthony Wedgwood Benn. This is the wealthy hypocrite who tried to hide his background by proletarianising his name to Tony Benn. Nice try Anthony! Much like David Cameron's PR men today, Peter Mandelson's propaganda unit went into overdrive working on Neil Kinnock's image while simultaneously trying to detoxify the party. This consisted of dropping unpopular policies such as Unilateral Nuclear Disarmament, Clause IV, the Closed Shop etc. but no amount of image making could stop Neil Kinnock from being himself. By using ten words where one would suffice he got himself a reputation for bloviating windbaggery which is still his defining feature to this day. Long winded speeches and inane statements against a formidable opponent like Mrs. Thatcher proved to be disastrous. I am not a Tory supporter but I have to give the Iron Lady credit, she was impressive, she exposed Neil Kinnock for the intellectual lightweight that he is and wiped the floor with him at every exchange. It must have come as a relief when Mrs Thatcher was deposed in a coup by her treacherous colleagues and replaced by the grey man of politics, John Major. Sensing victory, Neil Kinnock unsuccessfully pushed for an early general election but when it finally came he lost that one too. His embarrassing appearance at a victory rally in Sheffield the night before the election was blamed for his loss, together with the infamous Sun newspaper headline " If Kinnock wins today, will the last person to leave Britain turn out the lights". I remember it well, it was devastating but effective. The headline seemed a tad unfair but the truth is that the majority of the British people didn't want a socialist Labour government with a Welsh Windbag as their Prime Minister. He resigned the Labour leadership 1992 and instead devoting his spare time working to alleviate poverty in his constituency, he abandoned them in order to line his pockets. Media appearances and the Labour Party/BBC revolving door were not filling his coffers fast enough so he followed his wife Glenys Kinnock and climbed aboard the European Union gravy train in 1995. As with all these riders, taxpayers money started to roll in relentlessly thereafter. With no qualifications for the job, no experience of life outside politics and not a single vote cast, Neil Kinnock was appointed as Transport Commissioner over more qualified and experienced people. It's that familiar Kinnock stench and it seems to follow this particular family around. Modelled on the failed Soviet Union, the European Union is a cesspit of financial and political corruption, conceived by politicians and run purely in the interests of politicians. In 1999, after 5 years in office as Transport Commissioner, Neil Kinnock was forced to resign with the rest of the Jaques Santer corruptocrats after widespread fraud, obstruction and cover ups were discovered in the Commission budget by a whistle blower. Naturally everybody in the Commission denied all knowledge, so a scapegoat had to be found to fall on their sword and accept punishment. ( This punishment was not so severe as to cost the volunteer her pension). With this dubious action the issue was whitewashed over and the gravy train was back on the rails. Against all common sense and reason, Neil Kinnock was promoted to Vice President of the European Commission and charged with instituting reform. His reforms included staff salary and pension cuts but, surprise surprise, only for those joining after 2004. It must have been difficult for a Labour Party socialist like Kinnock to implement budget cuts considering deficit spending is standard operating procedure for any member of the loony left. By coincidence I'm sure, son Stephen Kinnock rejoins his father when he surfaces in Brussels as a British Council lobbyist in 1997 and gets promoted to Brussels Director in 2002. In 2004, with his bank account awash with taxpayers money and with his second term as Commissioner drawing to a close, Neil Kinnock is mysteriously appointed head of the British Council. This is a Foreign Office funded front organisation set up to spread cultural propaganda, the arts and other left wing nonsense such as intercultural dialogue. Wherever there are socialists, money grabbing is not far behind. Members of Parliament, including Labour's former Speaker of the House 'Gorbals' Mick Martin, were involved in a taxpayer funded scandal involving undisclosed expenses charged to the British Council. Nothing came of it and nobody was punished, it would appear that politicians use a lot of whitewash so that too is obviously claimable on expenses. That familiar Kinnock family stench, which was evident from Glenys and Rachel Kinnocks' shenanigans, reared its ugly head again with Neil and his son Stephen. No sooner than his father was in position with the British Council, Stephen Kinnock gets a much sought after and lucrative position running the British Council office in St Petersburg, Russia. Scandal wasn't far behind Stephen Kinnock either as the Russians accused the British Council of tax evasion and then Stephen was accused of drunk driving. Claiming Diplomatic Immunity, he refused a breath test even though British Council staff do not have Diplomatic status. Rumours at the time claim someone behind the scenes pulled some strings but this is not confirmed. For Neil Kinnock the British Council position was unpaid so in theory at the end of 2004 he was off the taxpayer funded gravy train..........but not for long... only about two months in fact, politicians look after their own. After vowing never to sit in the House of Lords while hereditary peers remained in place, he accepted a baronetcy, accompanied by the usual taxpayer funded expenses, while 90 Hereditary Peers were still in place. Neil Kinnock's principles are not worth a taxpayer funded sinecure, which also included access to money wielding lobbyists as a bonus. What became of Stephen Kinnock when his father left the European Commission? He was hurried out of Russia and kept his head down in Sierra Leone until the heat had died down from the St, Petersburg scandal, then in 2009 he became a Director of the World Economic Forum. This is an organisation designed to bring about a new social order by stealth, which was set up under the patronage of the European Commission of which his father was a member. 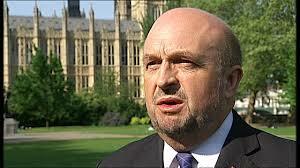 There is a familiar smell about this appointment also but accusations of Kinnock string pulling are unconfirmed. For the record, scandal prone Stephen Kinnock is married to Danish socialist Prime Minister Helle Thorning-Schmidt and he is currently under investigation for tax evasion in Denmark. So there they sit to this day in perfect harmony, Lord Neil and Baroness Glenys, the socialist hypocrites in the very House of Lords they both claim to despise, trousering taxpayers hard earned money to add to the millions they have already milked. Estimates put their joint taxpayer funded fortune in the region of ten million pounds. (That's 10,000,000 pounds). 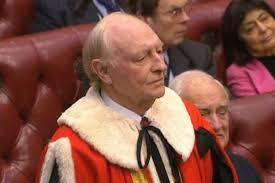 The Kinnock's are an established part of the elite one percent that they hypocritically claim to oppose. They now live in London to be closer to the gravy train and their grandchildren. Like Daniel arap Moi's constituents in the Rift Valley, the long suffering people of Bedwellty, Islwyn, Blaenau Gwent or whatever they are called now, have served their purpose, they are no longer required and are cast aside. The Welsh Index of Multiple Deprivation shows 21% of areas in Blaenau Gwent are in the 10% of the most deprived areas in Wales, a staggering 83% of areas are in the top 50%. Neil and Glenys Kinnock this is part of your legacy and you should be ashamed of yourselves. If your conscience keeps you awake at night try counting tenners instead of sheep. *Update: Right on cue Guido Fawkes over on order-order.com has released the House of Lords expenses for last year. It turns out that our shameless, troughing first family claimed sixty six thousand pounds of taxpayers money. Lord Kinnock regularly claims his three hundred pounds per day attendance allowance despite only speaking around once per month. I live in hope that the people of Blaenau Gwent are paying attention and cease their terminally stupid habit of voting Labour come what may. Update: Since this was written Stephen Kinnock was foisted on the tribal voters of Aberavon in South Wales and subsequently elected. He now sits in the British Parliament and is currently working tirelessly to overturn the Brexit referendum result and keep the British people locked inside the EU against their wishes. Whenever the term socialist hypocrisy is mentioned the first people that spring to mind are the Kinnock family. Its no secret that Neil and Glenys Kinnock have shamelessly made themselves very wealthy by helping themselves to millions of pounds of taxpayers money while at the same time falsely championing equality, fairness and compassion for the poor. The intention of this post was to examine the first family of troughing as a whole but research revealed that Neil and Glenys Kinnock, together with their spawn, are wealthy ultra hypocrites each in their own right. Just a rudimentary research lifted the lid on the culture of nepotism and patronage which is the hallmark of the Labour Party and socialist hypocrisy. I have to give credit to the image makers of the Labour Party, they have the ability to change the public persona of anyone, no matter how awful, into an electable commodity. (see previous postings on Hain, Bryant and co.) Glenys Kinnock is a classic example. The people were conned into believing that she was the dutiful, fragrant wife of a Labour MP who, as the representative a constituency mired in poverty, had pulled himself up by his own bootstraps to reach the dizzy heights of Leader of the Labour Party. Glenys Kinnock, we were led to believe, was a noble school teacher dedicated to the education of our children who also empathised with the plight of the poor and downtrodden. The image makers spun that she was a devoted mother who was being touted as a suitable consort for the next Prime Minister of Great Britain. Absolute nonsense, just scratching the surface of this manufactured image revealed a dedicated, ruthless, hard left extremist with an agenda all of her own. Her biographies reveal that Glenys Kinnock is a member of the GMB union which is a financial supporter of the Labour Party and famous for its typically socialist habit of ballot rigging. Glenys is also a member of the NUT (National Union of Teachers). This is now a militant outfit dedicated to the interests of teachers and not to the education of the country's children. The NUT is led by fellow hard left extremist Christine Blower. In keeping with socialist hypocrisy Blower had an elite education in the Grammar stream of a bilateral school, something which she fights to deny other children. Her first act as General Secretary of the NUT was to lead the first national teachers strike for decades. Glenys's colleague Christine Blower lied when she claimed that she didn't belong to any particular faction. Blower was a member of the London Socialist Alliance which morphed into the Socialist Alliance when it welcomed Trotskyist organisations like the Socialist Workers Party, the Internationalist Socialist Group and the extreme communist group Workers Power, into its ranks. This is the fanatic that leads Glenys's union and influences the education of our children. Glenys joined the mega gravy train when somehow she gets elected as Member of the European Parliament for South East Wales, which by coincidence, covers her husband former constituency. Of all the school teacher mothers in South East Wales, what was it that singled out Glenys Kinnock for this ultra safe seat? There's a bad smell about this appointment and this bad smell turns into a veritable stench when the Kinnock children appear on the Labour Party scene. Anyway, with a husband and wife team in place surely the people of Blaenau Gwent and South East Wales are in for a new Golden Age of prosperity. As we've noted previously in the cases of Peter Hain, Chris Bryant et al. when these people get elected they know its a job for life, therefore they take advantage of their new position by putting their constituents needs to one side in order to pursue their personal agenda. Under the banner of concern for the worlds poor and disadvantaged, Glenys Kinnock set about with gusto her ambition to further the cause of global socialism and the redistribution of other peoples wealth. Glenys Kinnock's personal agenda kicked off when she joined the Pan European Socialist (PES) group immediately upon her arrival in Brussels. This insidious group of totalitarians all share a common contempt for democracy. All members are individual members of the Socialist International which was formed by an alliance of socialist, communist, anarchist and unionist groups from across Europe. This Socialist International split due to the usual hard left habit of bickering over method and is now known as the Progressive Alliance of Socialists. The current loser in charge of this outfit is the spectacularly incompetent Georges Papandreou, the former Greek socialist Prime Minister who spent his country into bankruptcy and ruin. Glenys Kinnock who is supposedly committed to spreading democracy elsewhere in the world supported the removal of the democratically elected Papandreou and the imposition of unelected EU bureaucrats to take over the Greek government. Glenys Kinnock continued to ignore the needs of her constituents and began to redistribute their wealth when she joined the Committee on Development. This committee was responsible for handing out aid money to developing countries together with the promotion of democratic values and the promotion of good governance and human rights. Glenys also got herself onto the Committee on Citizens' Freedoms, Rights and Justice. Bearing in mind the actions of the European Union with regard to referendum results and the overthrow of the governments of Greece, Ireland and Italy, its difficult to take Glenys Kinnock's democratic credentials seriously. In an act of stupefying irony Glenys Kinnock was anointed the Co-President of the African, Caribbean and Pacific-EU Joint Parliamentary Assembly which was supposed to promote Human Rights, Democracy and Common Values between these countries. The truth is that Glenys Kinnock has been given a taxpayer funded platform which she uses to spread her own and her PES colleagues' failed socialist philosophy around the world. Interestingly, Glenys Kinnock and her colleagues work within the Contou Agreement which promotes this hug- touchy-feely left wing nonsense around the developing world. This agreement was signed in Contou, the capital of the West African hell hole of Benin. After independence Benin became a Marxist country, the type of country preferred by Glenys Kinnock and economic collapse soon followed. In the 1979 elections President Kekokou was duly elected and just like the EU leaders Herman von Rumpuy, Jose Manuel Barrosso and Baroness Ashdown, he was the only candidate allowed. Kekokou promptly put into practice the same policies preached by Glenys Kinnock, the Labour Party and her fellow EU socialists. He put the petrol industry, the banks, all other businesses and economic activity under government control with predictable results. The professional class left the country, the economy collapsed even further and the country has never recovered. Be advised that Glenys Kinnock and her Labour Party comrades are busy applying the same failed logic to Wales and history will confirm that the results will be the same. Wales is already more than halfway there. Glenys Kinnock likes a junket and one famous anecdote had her on a taxpayer funded jolly to Barbados where the banana market was the main issue on the agenda. If this is how she spends her time it is abundantly clear that poverty and despair in South East Wales is way down the list of her priorities. More evidence of Glenys Kinnock's hypocrisy is her membership of the British Humanist Association which is dedicated to secularism, human rights, democracy and egalitarianism (the removal of inequalities among people). She has failed on all fronts. There's precious little human rights in the African countries, who's leaders she rubbed shoulders with as Co-President of the EU-JPA. Glenys Kinnock could have demonstrated her commitment to egalitarianism by redistributing her own vast wealth among the poor people she represented, but in line with all the other Labour Party hypocrites it is unlikely she will practice what she preaches with her own ill gotten gains. On the subject of equality, as was the case with socialist governments the world over, Glenys Kinnock has demonstrated that equality is only for the little people it does not apply to the elites of our modern day political class. The peasants of South East Wales should know their place and give the Labour Party thanks for their generous welfare cheques. In exchange for that thanks your votes will do. If the choice of Glenys Kinnock as MEP for South East Wales had a bad smell about it then the questionable appointment of her daughter Rachel leaves a real bad odour in the air. Rachel Kinnock gave up her job in the taxpayer funded British film industry and surfaced in her mothers taxpayer funded EU office on a taxpayer funded salary. The hard pressed taxpayers of Blaenau Gwent are now paying for not one, not two but three members of the Kinnock family. Glenys never misses an opportunity to pick the taxpayers pocket for that extra few pennies. She was caught red handed signing in at dawn on Friday in order to claim the MEP,s daily two hundred and sixty pounds attendance allowance, before heading to the airport for a weekend at home. There was a fiddle at the airport too. Glenys Kinnock would buy Economy Class tickets then claim Business Class fares from the taxpayer, pocketing the difference. At the airport she would then hassle the check in staff for an upgrade to Business Class, using the "don't you know who I am" ruse no doubt. It boggles the mind that the hard pressed taxpayers of South East Wales are giving this trougher two hundred and sixty pounds per day on top of her salary and expenses, just for turning up for work. After fifteen years of selfless devotion to the worlds poor outside of South East Wales and with a taxpayer funded fortune in the bank, that bad odour turns into a outright stench when Glenys Kinnock is offered the job of Minister for Europe in Gordon Browns government. This position is in the House of Lords, an institution which is supposedly hated by the Kinnocks, who want it abolished. The very same Kinnocks who swore by all that is holy that they would never sit on those red benches until hereditary peers were abolished. It appears that their long held principles are not worth as much as a taxpayer funded package of allowances and expenses, therefore Baroness Kinnock of Holyhead's backside is firmly planted onto the same red benches as her husband Lord Kinnock of Bedwellty, and their bank accounts are once again being stuffed with taxpayers money. 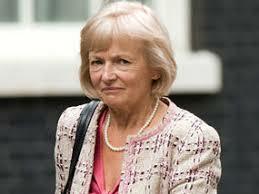 One drawback of Glenys Kinnock moving seamlessly from the EU gravy train to the House of Lords was that Rachel Kinnock was now out of a job...........but only for a little while. The stench of nepotism and patronage that accompanies this family returns once more as Rachel surfaces in Gordon Brown's office as a member of his political staff. Its unclear whether her salary was taxpayer funded or paid out of Labour Party coffers but if past form is anything to go by we can take an educated guess. It doesn't end there for poor Rachel - when Gordon Brown got kicked out of office she lost her job yet again...........not for long...that old familiar whiff of nepotism comes to her rescue once more. She has now miraculously appeared in Red Ed Miliband's office as an Events Organiser or some other such non job. Its unlikely that these jobs were advertised to the world outside of the incestuous political class but they are more likely the result of Labour party string pulling, patronage and downright nepotism. We the people are being used, abused, ripped off and taken for fools. The Kinnock family are so far removed from the people of South East Wales, and Blaenau Gwent in particular, that they might as well be on another planet. While she has grown rich out of representing them, the people of South East Wales continue to suffer the indignity and hopelessness of high unemployment, welfare dependency, poor health, substandard educational achievement, drink and drug fuelled crime. While Glenys Kinnock enjoys the lifestyle of the class she claims to despise, there is no evidence that conditions will ever improve for the people she represented for all those years. Please have pity on the long suffering people of Merthyr Tydfil, not only have they lumbered themselves with a piece of dead wood like Dai Havard, they have compounded their misery by electing another non performing Labour Party apparatchik in shape of Huw Lewis. Like Dai Basra, Huw Lewis has little or no experience outside the cloistered, incestuous world inhabited by career politicians. His bio's reveal the awful truth. Huw Lewis finished his education in Scotland where, instead of broadening his horizons by getting some experience in the wealth creating sector, he went to work for the Scottish Labour Party. If the Labour Party in Wales is a closed shop in Scotland its bordering on the Mafia. Take note Dai Basra, Huw Lewis is well connected, he worked for John Smith, Donald Dewar and the so called political heavyweights Doug and Wendy Alexander, he is reputed to be a formidable political campaigner. With credentials and connections like this he is wasted in Cardiff Bay. He is destined for higher things so watch your back Dai. After his stint with the Scottish Labour Party Huw Lewis spent 4 years as a chemistry teacher, this will give him window dressing cover and gives him the right to claim that he has worked outside politics. (Its an old trick and is currently being used by that other career political shyster David Cameron). After his spell as a teacher Huw Lewis was soon back in the political fold, his next career move was Assistant General Secretary of the Welsh Labour Party. Finally in 1999 he climbed aboard the gravy train when he was elected to the Welsh Assembly and he's been failing there ever since. For a staunch believer in the redistribution of wealth there is no evidence of any wealth creating experience on his CV. From the previous post it can be seen in the Welsh Government's own jargon riddled reports, that since 1999 the social conditions in his constituency have gone from bad to appalling. They are truly shocking, especially with respect to child poverty, health, life expectancy and educational performance. Deputy Minister for Children indeed, shame on you Huw Lewis!! How can you sleep at night. It would be laughable if its wasn't so tragic but Huw Lewis as Deputy Minister for Social Justice, reviewed the Welsh Governments Anti Poverty Programme, named Community First and as an insult to the children of Wales he also wrote the Welsh Governments Action Plan to eliminate child poverty!! This is such an epic failure that if Huw Lewis had a shred of decency he would resign. Keeping it in the family, Huw is married to life long socialist and fellow Assembly Member Lynne Neagle, another tax and spend wealth redistributor with no experience in the wealth creating sector. Before joining her husband on the gravy train Lynne Neagle worked in the voluntary sector and also as a researcher for troughing expert and wealthy socialist hypocrite Glenys Kinnock. It appears that Lynne and Huw have picked up the Kinnock family penchant for getting rich on taxpayers money. Expenses? Fill ya boots its only the fruit of other peoples labour. The transport links between the Valleys and Cardiff are trumpeted as being excellent hence the unemployed people of Merthyr and Torfaen have been chastised in the past for refusing job vacancies in the City area, its hypocritical therefore for Huw Lewis and Lynne Neagle to be representing their constituencies from Penarth. Set an example you two wasters, hold your noses and live with the people you are supposed to be representing. Its hard to understand what these people have been doing all these years, social conditions in Lynne Neagle's constituency of Torfaen are no better than those in her husbands constituency of Merthyr Tydfil. By any measure they are both epic failures. We in the dissenting community have, using the information contained in their own reports, have come to the conclusion that for todays' unprincipled politicians the gaining and hanging on to power is the top priority and not the well being of the people. They are nothing but poverty pimps who know that a free and prosperous people, financially independant of government, wouldn't go near them with a ten foot bargepole. The promise of welfare 'entitlements' from cradle to grave, the demonisation of wealth creators and the threat that the 'other lot' will take it all away is their ticket to power. Their failure to improve the conditions of the people after years of unfettered power is a testimony to this. Huw Lewis and Dai Havard do have three things in common. They are both members of ( and supported by) the strike prone union Unite which is run by communist sympathiser Red Len McCluskey, they are both dedicated to the same failed 19th century political philosophy and finally, they are both non performing failures who have betrayed the people of Merthyr Tydfil and should resign forthwith. While we're on the subject of socialist hypocrisy, we'll take a look at at the Kinnocks next. *Update* Just a brief look at their history has revealed that the hypocrisy, nepotism and money grabbing by this family is beyond the pale, We'll take a look at Glenys Kinnock first and take it from there. It goes without saying that the people of industrial South Wales and of Merthyr Tydfil in particular have a spectacular and noble history. Hardened by the brutal conditions of the Industrial Revolution their fighting spirit and endurance was at the forefront of the battle for political and social reform throughout the British Isles. Although church attendance had decreased when I was growing up in South Wales during the 1950's people still had principles and a moral code based on Christian ethics. People had dignity, they wanted to work, accepting welfare was a last resort, an embarrassment that was sometimes refused. Attitudes in today's South Wales and Merthyr Tydfil have changed immeasurably and they give an insight into the behaviour of the modern, cynical, unprincipled political class. It should act as a lesson to other constituencies (and other countries) who are falling into the trap of voting for politicians who, using class envy, promise welfare from cradle to grave paid for by 'the rich' in order to usurp and maintain power. Since the election of Keir Hardie, the first Labour Member of Parliament in 1900, Merthyr Tydfil has been in the grip of the Labour party both locally and nationally. In the same period the town has descended from a global industrial powerhouse into a welfare dependent socialist Dystopia. The key area statistics for Merthyr Tydfil are truly horrifying. Life expectancy is 10 years less than some areas of London. The Welsh Index of Multiple Deprivation list 36% of areas in Merthyr Tydfil fall in the 10% most deprived areas in Wales. The majority of the areas in Merthyr Tydfil are more deprived than the rest of Wales. The people have sacrificed their dignity and accept handouts of taxpayers money without embarrassment, believing the politicians' endless propaganda that it is their entitlement as victims of 'the rich'. In addition to all this, the long suffering, law abiding, hard working people of Merthyr Tydfil have to endure anti social behaviour by feral children plus higher than average levels of drink and drug fuelled crime. The leaders in charge of this social disaster are ideologically driven career politicians with no wealth or job creating experience. They are so devoted to their outdated and failed socialist ideology that they can't contemplate any solutions outside it or any alternative to it at all for that matter. It must be reiterated that Labour have owned political power in Merthyr Tydfil for over a century including a recent 13 year period of unfettered parliamentary power. They try to blame others for the scandalous conditions in Merthyr Tydfil but they've had plenty of time to put things right, the responsibility is theirs and theirs alone. The current steward of this depravity is Dai Havard MP, a devoted socialist with little or no experience outside the world of trade unionism and Labour Party politics. A look through his bio's reveal that Dai Basra (named for his frequent trips to Basra under the cover of membership the Defence Committee) is a local boy who, after finishing his education spent a few years as a jobbing engineer, he then became a Trade Union researcher, then a Trade Union Education tutor, then a full time Trade Union official with the MSF union, now part of the communist run Unite. To remind readers Unite is the strike happy trade union that brings misery to millions of hard working people and damages the British economy in the process. It also finances the Labour party out of its members subscriptions and is run by the self loathing communist sympathiser Red Len McCluskey. Maybe Dai shares Len's admiration for the blood soaked tyrant Fidel Castro and maybe like Len he would prefer Castro's Cuba, where political parties are banned, the prisons are full of dissidents. Maybe Dai Basra and Len can explain why tens of thousands of long suffering Cubans risk their lives in unseaworthy boats to escape that socialist Utopia in order to get to that bastion of inequality and unfairness called the United States of America. Len McCuskey is a hypocrite of the highest order who is immune to the consequences of his actions, who also enjoys a six figure salary and a champagne lifestyle on the backs of his members hard work. Nice supporters you've got Dai. Even blood soaked despots like Castro get a reality check sooner or later. He has accepted that communism has failed and he is in the process of dismantling the communist state he set up, sacking his public sector workers and opening up the economy to private enterprise. Maybe Dai Havard could do the same for his constituents, if socialism failed in Cuba why would it succeed in Merthyr Tydfil. He's got nothing to lose. Unlike the dissidents in Cuba he wouldn't be put up against a wall and shot if he suddenly discovered his spine and spoke up for his constituents. Its ironic that Dai Havard, who believes that the state should control society using taxation and regulation, sat on a Committee for Regulatory Reform while at the same time his political masters in Westminster and Brussels were churning out wealth and job destroying regulations by the thousands. Dai Havard has been in Parliament for 11 years and unless the good people of Merthyr Tydfil come to their senses, he will remain there as long as he pleases. One would have thought that with his dedication to the socialist cause and after a decade in parliament, he would have progressed further than the back benches. Not a chance, Dai has not even made it to junior minister or a PPS. To Ed Miliband and the remote political elite that control Dai Havard, Merthyr Tydfil is in the bag for Labour therefore Dai Havard only has only one function and that is to keep it there. They do give him some crumbs off the table in the form of committee memberships. This keeps him occupied and gives him an excuse for some taxpayer funded travel. Even then he can't behave professionally, reports indicate that he threw a tantrum on a recent taxpayer funded trip to the Falkland Islands because a horse riding trip he had been looking forward to had to be cancelled for scheduling reasons. What an embarrassment. Even though its unlikely that he could hold a serious position in the real world of the wealth creating sector Dai Havard is paid handsomely for maintaining the status quo and keeping the Merthyr people on the plantation. It costs close to a quarter of a million pounds of hard earned taxpayer money for his pay, allowances and expenses, he has a below average voting record in parliament therefore he must be considered a monumental waste of money. It doesn't end there for the hard pressed people of Merthyr Tydfil, Dai Havard has an equally expensive twin duplicating his uselessness in the Welsh Parliament. Dedicated socialist Huw Lewis AM.